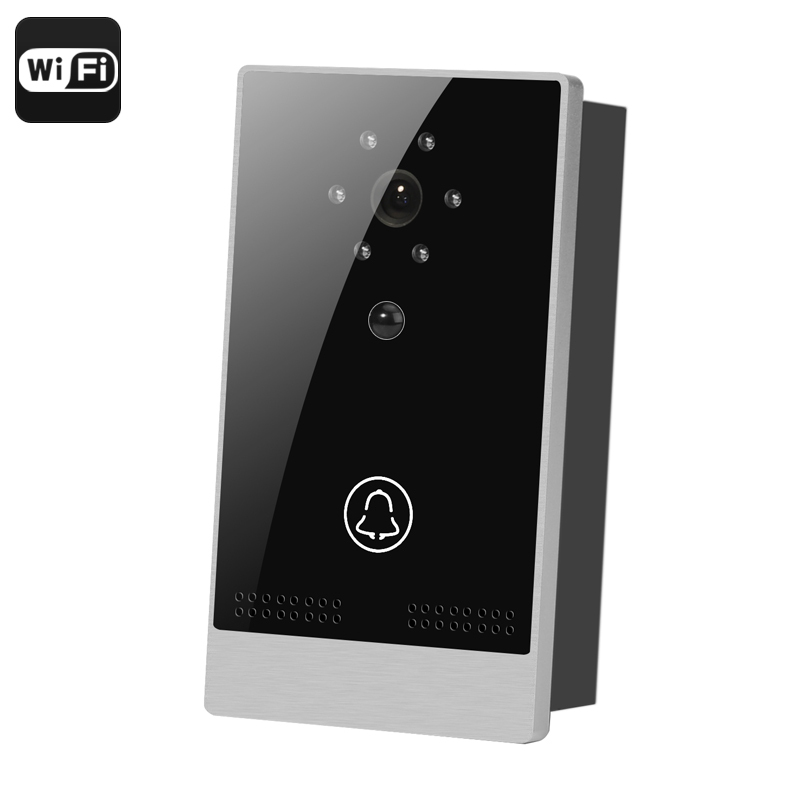 Successfully Added Wi-Fi Video Door Intercom - 1/4 Inch CMOS, PIR Motion Detection, Night Vision, Android + iOS App to your Shopping Cart. With its secure metallic case, touch button control and 1/4 inch CMOS sensor this Wi-Fi video door intercom system is your best, first line of defense in home security. It has a PIR sensor and IR night vision, which when combined with a 140 degree viewing angle ensure it will detect anyone who comes within range of your door. This system is easy to install and can be set up to send a message or video to your mobile device, it will even alert your phone with a photo and audible alarm. Wi-Fi connectivity and the iOS or Android app means you can access the video footage remotely, even if you’re not on the premises, so you can use your tablet or smart phone to check when someone pays you a visit and even communicate with them thanks to a built in mic and speaker. This proactive door monitor will let up to 8 users monitor the system at any time so the whole family can keep informed of who comes and goes. You can even wire this video door intercom to an electronic lock so as to provide remote access, this allows you to let anyone in who may have forgotten their key or allow the postman to leave your parcels in a secure place, like the entrance hall. This Wi-Fi Video Door intercom comes with a 12 months warranty, brought to you by the leader in electronic devices as well as wholesale video door phones..